It is a great pleasure for me to be given this opportunity to send my greetings to the Wilkinson-Yoshiba Adviser Group on the occasion of the exhibition they are holding during the Alumni Festival on September 23rd. I started the Ad.Gr. in 1968, the year after I arrived here as a fulltime professor, so it is now exactly 50 years old. For me this was important as a chance to get to know some students personally, which was not possible in a classroom, and students from any department were free to join. I used to hold an “open house” on Saturday afternoons, to which any student could come at any time, and I served tea and biscuits. And we also used to go on a trip every year on “Adviser Group Day”. One unexpected result was that many students found their marriage partner in the Ad.Gr., so that I was invited to several weddings. The Alumni Festival did not exist in my time, but on November 3rd we used to take part in the Daigakusai, which was held on the Emperor Meiji’s birthday. We served rahmen for many years, and the Wilkinson Ad.Gr. rahmen became quite famous. All in all, I can honestly say that the Adviser Group offered me the happiest memories of my time at Aoyama Gakuin. 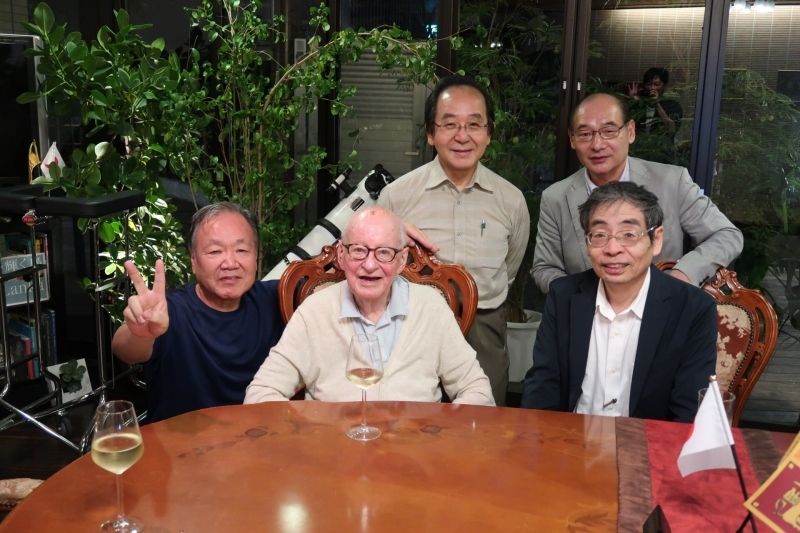 When I retired in 1995, one of the old members, Prof. Hiroshi Yoshiba, took over the Ad.Gr., and he and Mrs. Kyoko Yoshiba, also an old member, have organised events on special occasions, such as my 88th birthday, which we celebrated in the Ivy Hall, a place that I always knew as Aogaku Kaikan, so thanks to them the Ad. Gr. is still thriving.